Indian smartphone giant Micromax finally launched it’s 4th “Yu” brand smartphone, the all new as Micromax Yu Yunique in Indian market priced at Rs 4,999 and Rs 5,499 with two back covers. Micromax Yu Yunique listed on online retailer Snapdeal, the pre-registration will start Today and slated to go on sale from 15th Sept. through Snapdeal. 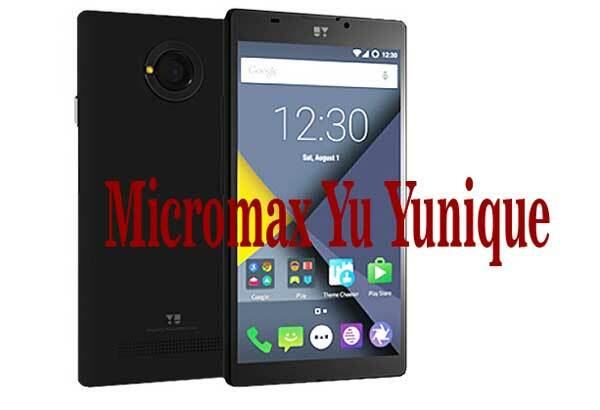 Micromax Yu Yu5050 and Micromax Yu Yu4711 also leaked online before Tuesday launch. It’s predecessor are Micromax Yu Yureka(Rs 8,999), Micomax Yu Yuphoria(Rs 6,999) and Micomax Yu Yureka Plus( Rs 9,999). According to Snapdeal listing, Micromax Yu Yunique supports 4G LTE, Dual-SIM((4G+3G)), Micro SIM, Bluetooth 4.0, Micro-USB, Wi-Fi , GPS, and a 3.5mm runs on latest Android 5.1 Lollipop(no Cyanogen OS) and powered by a powerful 64 Bit, Quad-Core Qualcomm Snapdragon 410 processor clocked at 1.2 GHz with 1GB RAM, 8GB internal memory and 32GB Expandable memory. Micromax Yu Yunique offers you a 4.7-inch HD IPS display with Gorilla Glass 3 protection sporting a 8-MP rear Auto focus camera with LED Flash, Sony IMX135 CMOS Sensor and 2-MP front facing camera with 3P Lens and f/2.4 aperture powered by a powerful 2000mAh Li-Po battery promising Talk time up to 7 hours and standby time up to 271 hours offers connectivity through GPS, A-GPS, Bluetooth 4.0, FM radio, Wi-Fi, Wi-Fi hotspot and Micro-USB v2.0. GPS, A-GPS, Bluetooth 4.0, FM radio, Wi-Fi, Wi-Fi hotspot and Micro-USB v2.0. At last few honest word to say that Micromax Yu Yunique is coming to rock and rule the budget phone market. What you think? What will be the next Yu brand smartphone name. Please feel free to give your view. It’s very bad phone Yuphoria. there is heating and many issues.